Looking for a great secondary school in Ethiopia? Check out this listing of the top 10 secondary schools in Ethiopia! Hillside School is a private school in Addis Ababa that offers preschool, primary, secondary and higher education. It has three different locations with the main branch at Megenagna around Lem hotel. Students at this school enjoy excellent education in a modern, attractive school setting. Zagol Academy is one of the top 10 secondary schools in Ethiopia, offering instruction in English and Amharic. It was founded in 2009 by a group of Americans and Ethiopians who wanted to expand the educational opportunities available to students in Ethiopia. Zagol Academy offers affordable and first-rate education to the children of Addis Ababa and is one of the fastest growing schools in the region. The School of Tomorrow, Ethiopia, is a private school with nine branches that was established in September 1993. The high school is located at the CMC branch and was established in 1999. This institution offers education from Kindergarten to Pre-College in a healthy and nurturing environment. At the School of Tomorrow, expect quality education, a strong English background, small class sizes, individual attention, and an accelerated curriculum. Intellectual Schools is a group of schools in Ethiopia run by German investors. Students at these schools are motivated through individual attention, counseling and after-school programs. These institutions focus on foreign languages, literature, the arts, math, and science. Bright Future Schools is a community-based private not-for-profit institution, with two branches at Hawassa and Addis Ababa. This school is accredited nationally by the Ministry of Education, and internationally by LCCI of the United Kingdom. Bright Future was established in 1998 and offers education from Pre-K to Grade 12.
International Community School is well known for its high-quality education and internationally acclaimed academic curriculum (PYP and IBDP). It was established in 1961 as the American Community School (ACS). International Community School is an IB-world school whose curriculum challenges students to think critically and creatively, applying their knowledge across academic subjects. The British International School secondary section is located in the Sherif Building on Bole Ring Road, just five minutes from Addis Ababa International Airport. The school community has students from more than 46 countries, and offers British Curriculum secondary education up to Key Stage 5. Nazareth School is another of the top 10 secondary schools in Ethiopia. This institution is a Catholic Mission School that was established by the Society of the Daughters of the Heart of Mary with the aim of molding girls to become God’s children as well as responsible women leaders and citizens of Ethiopia. At this institution, the core values of collaboration, self-sacrifice, commitment, honesty, respect, flexibility and respect are instilled in the students. This institution, contracted with the AEFE, is managed by the French Secular Mission. The training at this school integrates its mission to educate, integrate and promote, while focusing on the acquisition of knowledge and skills of the common core. At Sandford, students are educated to become effective world citizens who excel in creative thinking, critical enquiry, commitment to others and clear communication. Sandford is a co-educational nursery to pre-university institution that is committed to providing a standard of education that is accepted both within Ethiopia and by the international community. 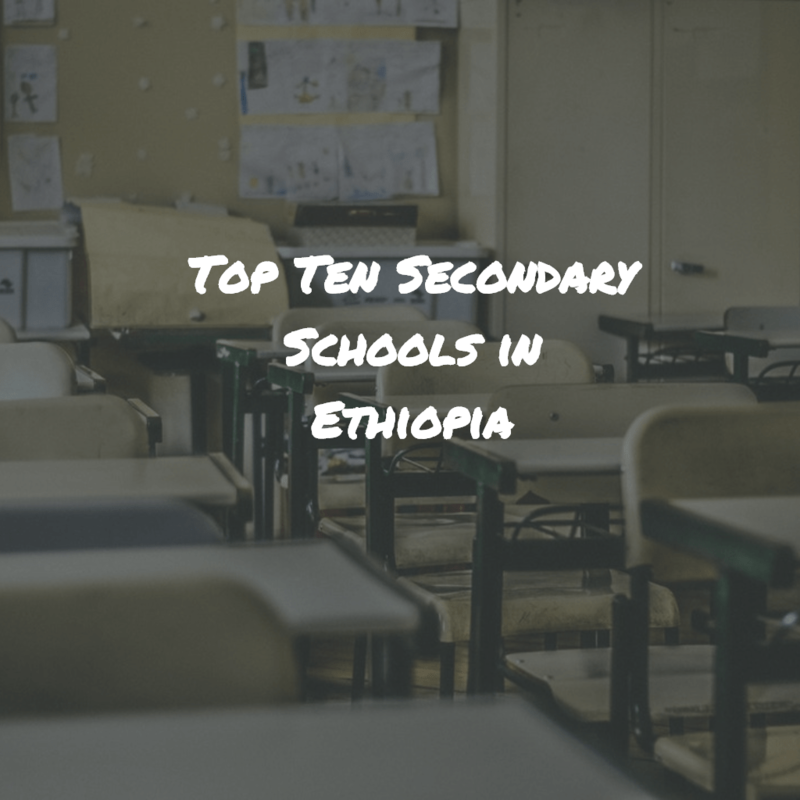 The top 10 secondary schools in Ethiopia listed above give you several options to consider when choosing a great secondary school. Good luck!